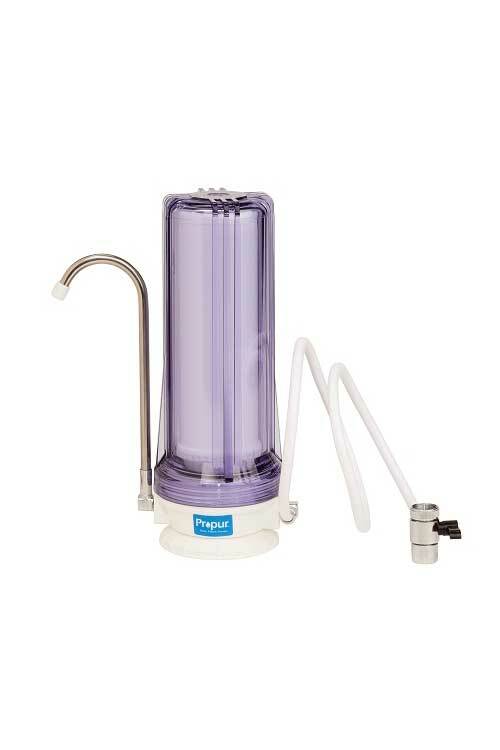 New Propur™ Countertop Water Filter System with ProMax™ Filter Technology. 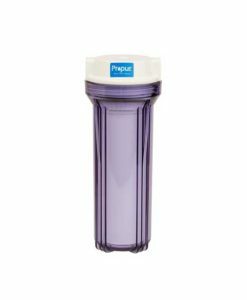 New Propur™ Countertop Water Filter System with ProMax™ Filter Technology is designed to fit most standard faucets with a removable aerator. Installs in just minutes without any tools. 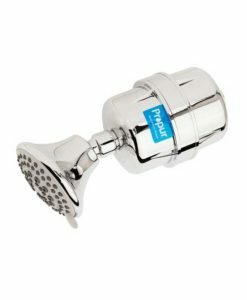 Enjoy Propurified™ water by just turning on your faucet and diverter valve. 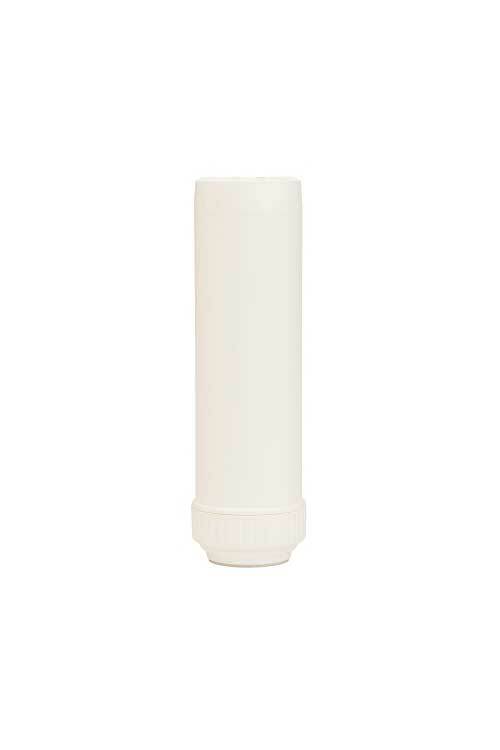 With ProMax™ Filter Technology, reduce/remove a broad range of over 200 contaminants including VOC’s, lead, fluoride, heavy metals, pesticides, SVC’s, disinfectants, inorganic non-metallics, herbicides, pharmaceuticals, PFOA, PFOS and micro-organisms. 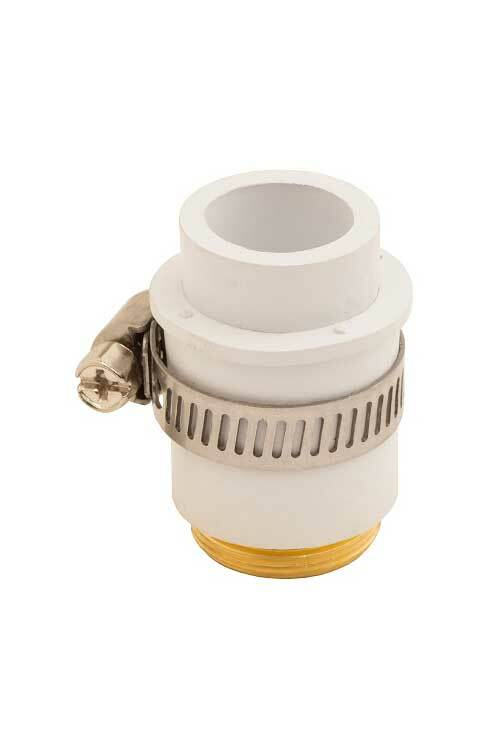 Tested to NSF-42, 53 and P231 standards. See ProMax™ Lab Report for details. 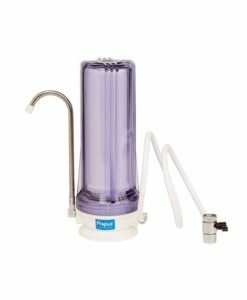 Introducing new ProMaxTM high efficiency, encapsulated, multi-stage water filter technology from PropurTM. Each stage is comprised of a unique proprietary formula of infused microstructure filtration media designed to target a specific group of contaminants. Contains no resins or beads. 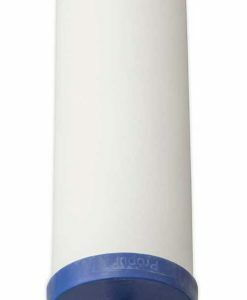 Engineered for unsurpassed performance and maximum contaminant reduction. Independent lab reports show the ProMaxTM reduces/removes a broad range of 200+ contaminants including VOC’s, lead, fluoride, heavy metals, pesticides, SVC’s, disinfectants, inorganic non-metallics, herbicides, pharmaceuticals, PFOA, PFOS and micro-organisms. Helps improve taste and door. 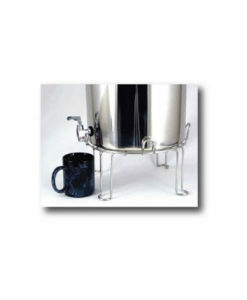 Tested to NSF-42, 53 and P231 standards. 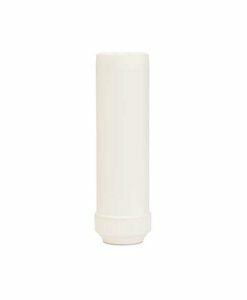 Unlike carbon block and ceramic composite filters, ProMaxTM filters do not require cleaning to help maintain flow rate and contaminant reduction.